We know, we know, a chemical peel sounds a little intense. Your mind probably immediately pictures skin shedding, burning, and extreme redness. But the truth is not all chemical peels act as aggressively on the skin. Meet lactic acid peels, the gentler peel of the pack that works just as effectively to give your skin a major glow-up even on its dullest day. Lactic acid is an alpha hydroxy acid that’s essentially sour milk used to produce smooth skin and balance your skin’s PH level. It lightly exfoliates by dissolving dead skin cells and has been used by ancient Egyptians for centuries to improve the overall aesthetic of skin. Haven’t tried a peel yet? If you have slightly sensitive and dry skin, start out with a lactic acid peel. It has tons of skin benefits: the power to clear out toxins, dead cells, debris, and boost collagen production. It also has amazing hydrating benefits and will leave your skin feeling cushion-soft and moisturized. After several treatments, it can improve the look of fine lines, wrinkles, and even out the appearance of your skin tone. In terms of my skin’s dryness and sensitivity, on a scale of one to 10, I’m a 15 (not even being a little dramatic). 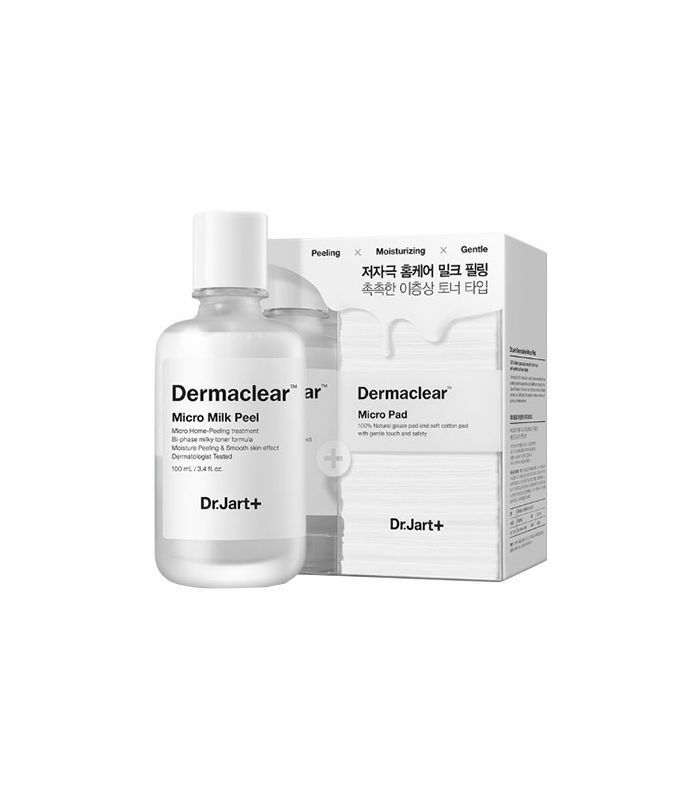 The moment my managing editor, Lindsey, recommended that I try Dr. Jart+ Demaclear Micro Milk Peel ($42), I was down. According to the brand, its inspired by popular milk peel procedures done in Asia. This was my first ever at-home peel, so I carefully read the instructions. It comes with these delightful little pads: one side meant for exfoliating and the other has a softer texture for sensitive skin. After cleansing my skin, I used the soft side to lather an even amount of the peel all over my skin. It felt cool, but not tingly at all. After two minutes, I second-guessed whether or not it was even working because I didn’t feel a thing. After three minutes, my inherently dry skin quickly absorbed all of the product. I left it on for about a minute longer and washed it off with lukewarm water. Then I went in again with the exfoliating side of the pad mixed with water to give my pores another deep clean. I looked in the mirror and was shook. My skin was glowing, but not a normal glow—like I just had the most amazing facial of my life kinda glow. For the first time in a long time, it looked like my skin had just drunk a gallon of water. My roommate instantly wanted to try the peel after seeing my skin’s luminous glow from such a gentle option. I’m sold on lactic acid peels, and I think you will be too (if you aren’t already). But before trying anything, it’s best to know exactly what your skin’s getting into. We called on skincare expert Rachel Roff, who is the founder of Urban Skin RX products and Urban Skin Solutions Medspa based in Charlotte, North Carolina. I was scared of chemical peels for years but decided to enlist in Roff’s help for my first one ever. I loved the results, so I knew she’d be the best person to call on for all things to know about lactic acid peels. Read on for the ultimate lactic acid guide. “It also strengthens the skin’s natural moisture factor, which makes this a great peel for normal to dry skin,” explains Roff. “It can also even skin tone and fade discolorations since the peel is shedding the top dead layer of skin, so it's great for anyone looking to even tone,” notes Roff. According to Roff, if you go to a professional that doesn't properly analyze your skin prior to performing the peel, you can have an adverse reaction. “Applying lactic acid to an open sore or skin that is already peeling and flaking can lead to a burn or scarring,” warns Roff. With certain peels, Roff tells her patients to expect some sensitivity and shedding. However, it all depends on the strength of the peel—it could take your skin between two to 10 days to recover. “Be sure that you don’t overheat your body with working out or sweating for the first 48 hours after the peel,” recommends Roff. “And refrain from excessive direct sun exposure for two to four weeks after to allow your skin to adjust without additional stressors. 1. Make sure that your skin isn't excessively dry or peeling prior to the treatment. 2. Don't use ingredients that are meant to dry your skin, such as retinol, tretinoin, or very drying acne products for at least five days prior to the treatments. 3. Refrain from excessive sun exposure for at least two weeks prior to the treatment and don't scrub or pick at your skin before a chemical peel. 4. Ensure that whoever is performing the chemical peel has the necessary experience. Some questions you can ask prior to the treatment are: How many treatments of this peel have you performed? How long have you been a skincare provider? Also, ask to see before-and-after pictures of patients who they have performed the treatment on. 5. Be cautious if the person performing your treatment doesn't ask what products you’ve used on your skin in the last five days. These are all signs that they don't have the necessary expertise to do a safe chemical peel. The majority of the risk of a chemical peel comes from what the patient has been using on their skin the week prior to the treatment as well as how they take care of their skin the week after when it’s healing. Always tell the professional your skincare routine. Roff suggests exfoliating your skin at home by using a purifying mask like the Urban Skin RX Purifying Pumpkin Pore Mask ($38). “This uses enzymes and vitamins to exfoliate skin,” she Roff. 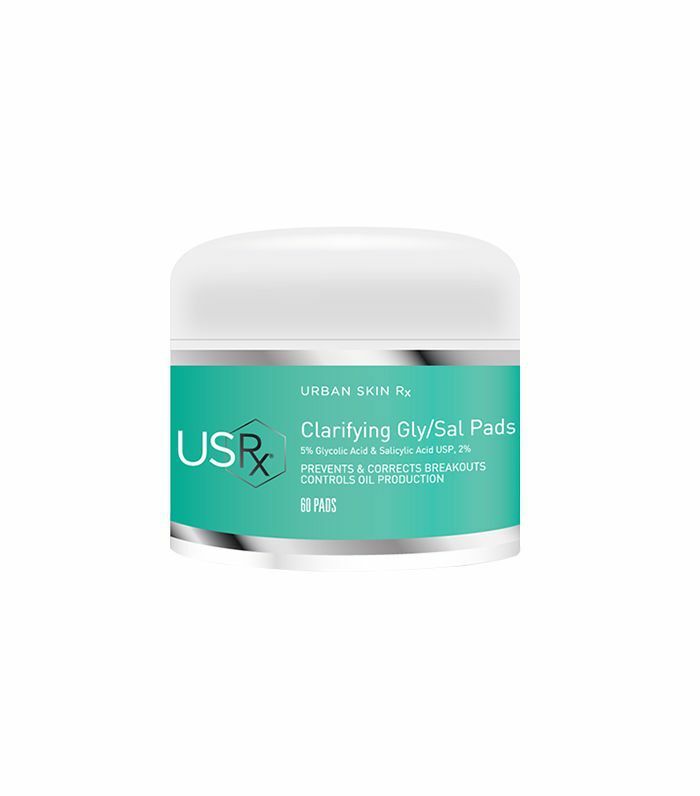 Another favorite exfoliating product is the Urban Skin RX Clarifying Gly/Sal Pads 5% ($28). “These use a combination of glycolic and salicylic hydroxyacids to remove access oils and promote skin clarity,” says Roff. While we're on the topic of peels, check out even more amazing at-home peel treatments that will give you a glowy complexion in minutes.